Miro (previously called Democracy TV) is a tool for finding, downloading and watching video from a wide range of online sources. It is free software made by the nonprofit (NGO) Participatory Culture Foundation : http://participatoryculture.org/. Miro plays a wide range of formats including Theora, and it runs on a variety of platforms (Operating Systems such as Windows, OSX, and GNU/Linux). 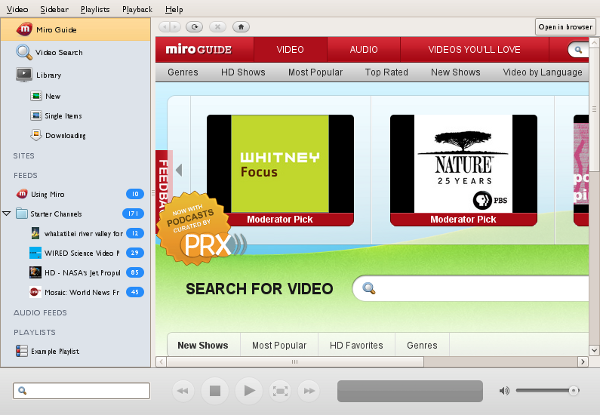 In addition to video playback, Miro makes it easy to search for and download videos from specially formatted lists of videos known as podcasts or vodcasts. You can use Miro to play video on your desktop, or to download and watch video from a URL pointing directly to the video file, or even a popular video website like YouTube. 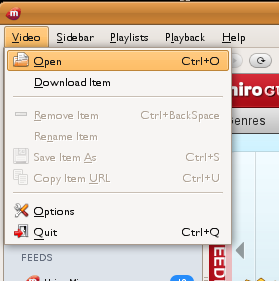 You can also use Miro to download and then watch Bittorrent files (files ending in .torrent). 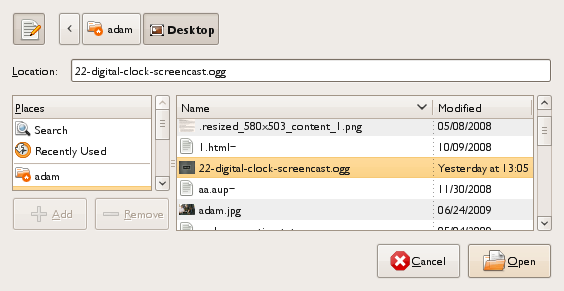 Miro is a desktop application that you need to download and install. Installation steps will vary depending on what platform you're using (GNU/Linux, Mac OS X, or Windows). Go to Video > Open in the Miro menu. Find the file you want to open. Select it, and click "Open". The video should begin playing in the Miro Window.